The U.S. isn’t being naïve in taking North Korea at its word on denuclearization, said White House National Security Adviser John Bolton, defending President Donald Trump’s approach to Pyongyang. “There’s no one in this administration starry-eyed about” the idea North Korean leader Kim Jong Un’s regime will completely rid itself of nuclear weapons capability, Bolton said during an appearance on “Fox News Sunday.” Still, the point may well come when Trump concludes Kim isn’t acting in good faith, he said. 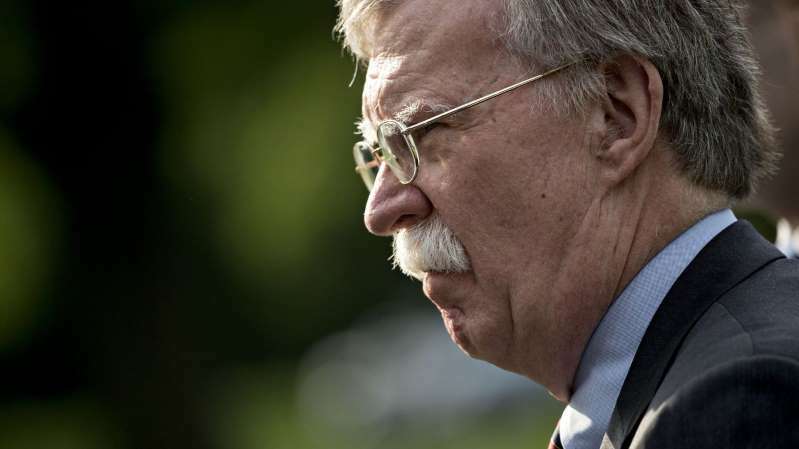 [post_ads]Bolton’s comments follow Secretary of State Michael Pompeo’s warning on Saturday that other nations must not ease sanctions on North Korea until that county gives up its nuclear weapons. Pompeo called out Russia and China for violating United Nations Security Council resolutions restricting trade with North Korea. In response, North Korea accused the U.S. of demanding too much without offering anything in return. “Advancing unilateral demands will further deepen mistrust instead of reviving trust,” North Korean Foreign Minister Ri Yong Ho said in a statement. Since then, the White House has sought to show that North Korea is moving toward giving up its nuclear weapons despite news reports to the contrary. The mixed messages have undermined U.S. attempts to pressure North Korea, which hasn’t committed to a specific timetable for giving up its weapons. Pompeo, back in Singapore for the Asean meeting, said on Saturday that he had a “quick, polite exchange” with North Korea’s Ri, and that the U.S. delegation had delivered a reply from Trump to a letter that Kim sent to him earlier in the week.